Not quite as dramatic as the previous clip but outstanding nonetheless, this one showcases a branch of qigong which concerns body hardening. These armour skills include iron shirt, golden bell and in this case, iron arm. 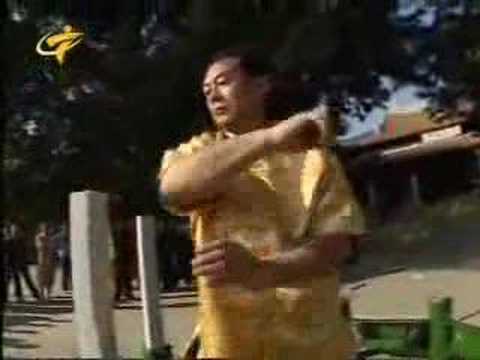 Watch as a Wuzuquan master demonstrates his remarkable iron arm skills. How is this skill achieved? It may involve regular hitting, the application or ingestion of herbs and qigong. This is in contrast to northern iron shirt training which focuses on standing meditation. Whatever the training technique, the iron arm is a useful tool for self defence, the practitioner gets to carry two iron rods or baseball bats with him all the time, and these can used to take out the limbs of opponents at the word go. how many repetitions a day should i do on a tree to achieve this iron arm ability?